Eddie Chapman: rogue, criminal, confidence trickster, hero to both sides and betrayer of all. At the start of the Second World War, Chapman was recruited by the German Secret Service. He was a highly prized Nazi agent. 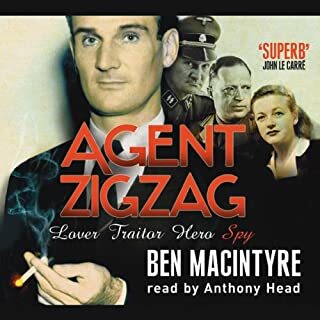 He was also a secret spy for Britain, alias Agent Zigzag. 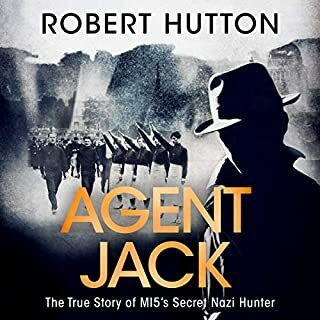 From the best-selling author of Agent Zigzag, the thrilling true story of the greatest and most successful wartime deception ever attempted. One April morning in 1943, a sardine fisherman spotted the corpse of a British solder floating in the sea off the coast of Spain and set in train a course of events that would change the course of the Second World War. 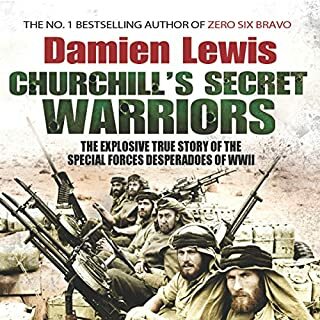 In the summer of 1941, at the height of the war in the Western Desert, a bored and eccentric young officer, David Stirling, came up with a plan that was imaginative, radical and entirely against the rules: a small undercover unit that would wreak havoc behind enemy lines. Despite intense opposition, Winston Churchill personally gave Stirling permission to recruit the most ruthless soldiers he could find. So began the most celebrated and mysterious military organisation in the world: the SAS. 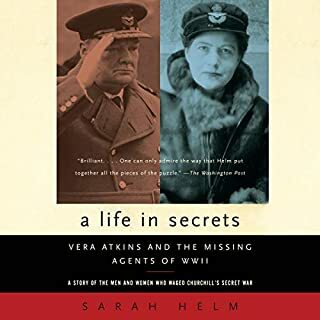 As the head of the French Section of the British Special Operations Executive, Vera Atkins recruited, trained, and mentored special operatives whose job was to organize and arm the resistance in Nazi-occupied France. After the war, Atkins courageously committed herself to a dangerous search for 12 of her most cherished women spies who had gone missing in action. Drawing on previously unavailable sources, Sarah Helm chronicles Atkins’s extraordinary life and her singular journey through the chaos of post-war Europe. In the hard-fought winter of 1944, the Allies advanced northwards through Italy but stalled on the fearsome mountainous defences of the Gothic Line. Two men were parachuted in, in an effort to break the deadlock. Their mission: to penetrate deep into enemy territory and lay waste to the Germans' impregnable headquarters. At the 11th hour, mission commanders radioed for David 'The Mad Piper' Kilpatrick to be flown in, resplendent in his tartan kilt. They wanted this fearless war hero to lead the assault, piping 'Highland Laddie' as he went - so leaving an indelible British signature to deter Nazi reprisals. 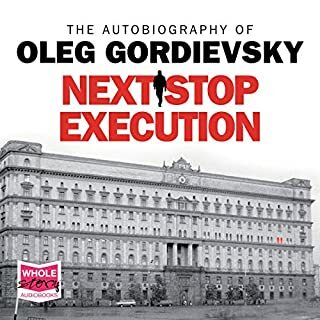 Oleg Gordievsky was the highest ranking KGB officer ever to work for Britain. For 11 years, he acted as a secret agent, reporting to the British Secret Intelligence Service while continuing to work as a KGB officer. 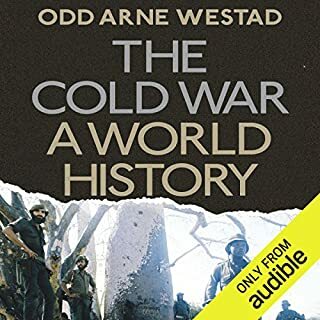 He gave such a clear insight into the mind and methods of the KGB and the whole system of Soviet government that he has been credited with doing more than any other individual in the West to accelerate the collapse of Communism. Shortly after the outbreak of the Second World War, a country house called The Firs in Buckinghamshire was requisitioned by the War Office. Sentries were posted at the entrance gates, and barbed wire was strung around the perimeter fence. To local villagers it looked like a prison camp. But the truth was far more sinister. This rambling Edwardian mansion had become home to an eccentric band of scientists, inventors and bluestockings. Their task was to build devastating new weaponry that could be used against the Nazis. This is one of the great untold stories of the 20th century. 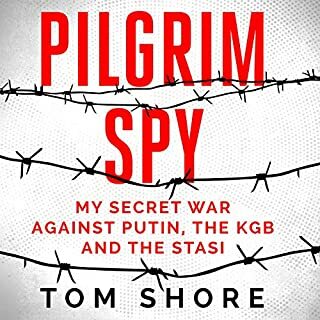 It is a firsthand account of a mission by an SAS soldier sent behind the Iron Curtain by MI6 to find someone who didn't necessarily want to be found and how, on a follow-up mission, he found himself manoeuvring against a mysterious KGB officer and a murder plot by Kremlin hardliners. If the plot had succeeded, it would have given the Russians the excuse they were looking for to roll out the tanks across East Germany, the Berlin Wall would not have fallen - and the map of Europe would look very different today. In the bleak moments after defeat on mainland Europe in winter 1939, Winston Churchill knew that Britain had to strike back hard. So Britain's wartime leader called for the lightning development of a completely new kind of warfare, recruiting a band of eccentric free-thinking warriors to become the first 'deniable' secret operatives to strike behind enemy lines, offering these volunteers nothing but the potential for glory and all-but-certain death. Well, who'd have thunk it! 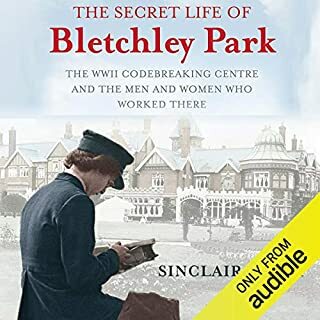 Sinclair McKay’s book is the first history for the general listener of life at Bletchley Park, and an amazing compendium of memories from people now in their 80s - of skating on the frozen lake in the grounds, of a youthful Roy Jenkins, useless at code breaking, of the hijinks at nearby accommodation hostels - and of the implacable secrecy that meant girlfriend and boyfriend working in adjacent huts knew nothing about each other’s work. D-Day, 6 June 1944 was a victory of arms. 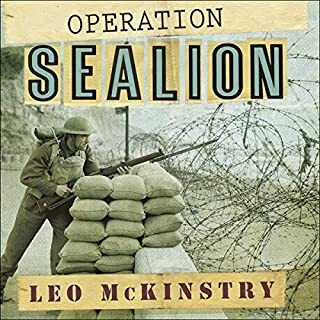 But it was also a triumph for a different kind of operation: one of deceit, aimed at convincing the Nazis that Calais and Norway, not Normandy, were the targets of the invasion force. The deception involved every branch of Allied wartime intelligence. But at its heart was the “Double Cross System”, a team of double agents controlled by the secret Twenty Committee. The key D-Day spies were just five in number, and one of the oddest military units ever assembled: a Peruvian playgirl, a Polish fighter pilot, a Serbian seducer, a wildly imaginative Spaniard, and a hysterical Frenchwoman. Their enterprise was saved from catastrophe by a shadowy sixth spy. Good book, narration is little off for me. What made the experience of listening to Double Cross the most enjoyable? 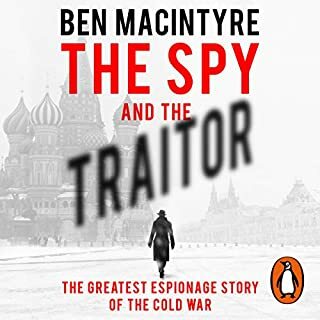 I love Ben Macintyre as an author. I love the themes of his books. 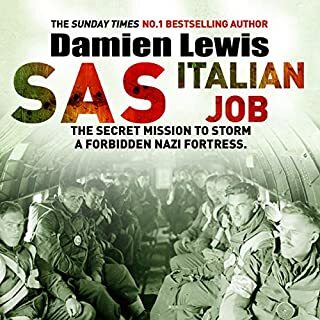 This one was a little less organised than Zigzag and Mincemeat but still such a fascinating story and still well written even if it didn't match the standards Ben had set in previous books. Also, the fact that this book is about a group of characters who don't actually ever meet does make it tougher. What three words best describe Michael Tudor Barnes’s voice? His voice, is a little aged. He also puts on an the same 'stiff upper lip' voice for every British character, and uses the same accent for every non-British character. 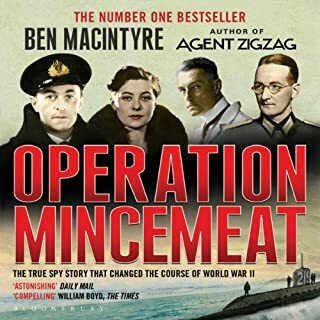 His pace was good though, but I'd have to say I preferred the guy who did Operation Mincemeat (better book too). His previous two books had the benefit of either one central agent or one core operation to focus on. Here, there's a lot of different threads and different plots to try to keep track of. Bottom line it's still a good listen, but I suggest starting with either Agent ZigZag or Operation Mincemeat first, to "ease" yourself in! 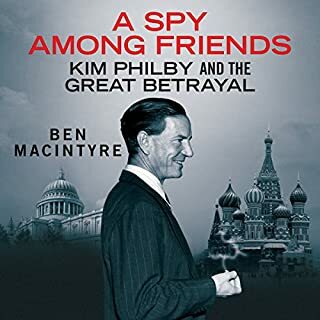 I really enjoyed McIntyre's first two books and although the information in them had appeared elsewhere he delivers the details in such a detailed and personable way that the book reads like a weird blend of a thriller combined with a news bulletin. In the latest book he sketches the most complex and daring orchestration of wartime deception - all based on fact, newly released by MI5. 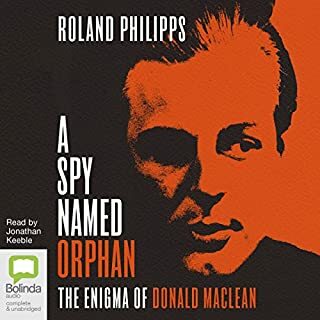 Although the plot is rich and unbelievably complex, and although the daring of the spies is far greater than before, the book never reaches the intensity of its two predecessors. This could be that there is less focus on one small cast of characters and the canvas is bigger, more complex with less opportunity to understand the lives and motives of the main characters. At times the cast of characters is unwieldy because of the number of characters and the complexity of the charade they were developing. As always one is looking forward to the epilogue to explain how the people ended up. The work they did was amazing and it affected the outcome of the war and therefore the course of world history. Ben M has written well, again, but with fewer main and subsidiary characters the book may have risen to the levels of its predecessors. Narration is brilliant with flawless accents applied consistently. Well, yet another tremendous book by Michael Macintyre. It is so comprehensive and in depth; but unfortunately I found this to be a negative aspect. Whilst it may be easier to grasp the many, many characters mentioned in the book, with their twists and turns by reading the book at ones own pace, listening to it doesn't give you that luxury. Nevertheless, I wouldn't let this put you off getting it. Again, the pace and writing style of Macintyre is electrifying. The narrator is clear, concise, and I enjoyed the way he accentuated the different characters. 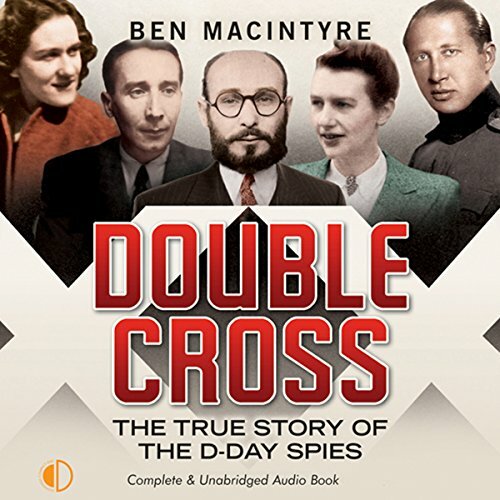 Would you consider the audio edition of Double Cross to be better than the print version? Everything about it, the deception, the humour, the genius and overall importance of the task. Have you listened to any of Michael Tudor Barnes’s other performances? How does this one compare? First time. He was brilliant. Laughed quite a few times & there were a few emotional parts towards the end but no tears. 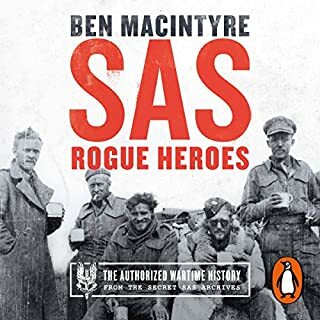 This is the fourth Ben Macintyre audiobook that I've listened to and every single one of them has been absolutely brilliant. I don't think I could choose a favourite. An absolutely amazing true story, brilliantly told. Writing and narration are beyond excellent. I highly recommend this compelling and true tale of these war time unknown heroes. Magnificent! Well-read and erudite, this book shows how the combination of brains, cunning and brute force can win the day. Amazing collection of characters, flawed and fabulous. Keeps the listener's attention all the way through! Excellent. Ben Macintyre has a very engaging way of telling a story. Although the book represents the history of the D-Day Spies, the story is written as if it was a rather good John le Carre novel, and is the better for that. 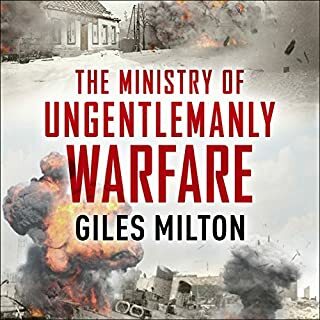 Michael Tudor Barnes has exactly the right voice for narrating a wartime drama. It's as if you're listening to the news being broadcast direct from London in 1941. The actual story is fascinating, and just goes to show that the truth can be stranger than fiction. The list of names at the beginning didn't work well in audiobook format, and the write-off at the end of what-happened-to-whom was a bit long. But these are just minor criticisms of a 10/10 audiobook. As many times, life turns out to be more interesting than most fiction. This is a true story, based on hard facts from personal stories of people involved, but mostly based on MI5 dossiers. 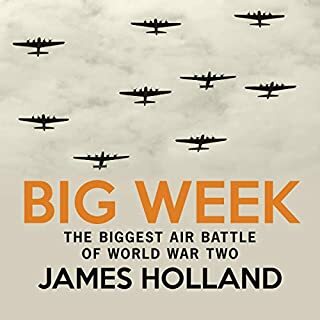 One of the better WW2 stories and one of the best audio books I listened to in last couple of years. Macintyre and Tudor Barnes - top combination! This is a must read for anyone who is interested in WWII or who just likes a ripping and suspenseful spy story. I agree with all positive comments below. The book is beautifully written, with the occasional sardonic observation to bring a smile to your lips. The narration is perfect in every way. 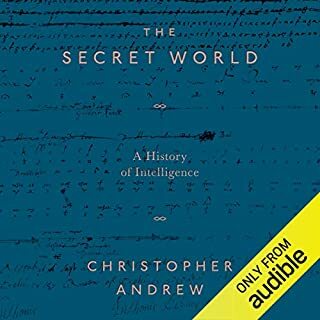 My only reservation has also been mentioned below - it can be difficult to keep track of the various players in audio format, but I found that with each switch between characters I quickly remembered what they were up to, so I don't consider it a reason not to read the book in audio. And listening to Michael Tudor Barnes is a treat not to be missed. I was left with just one question - could the Germans really have been THAT inept? Apparently so!